This website is a snapshot of the main areas of development of my drama work from 1986 to the present. I am currently adapting as drama scripts, to be read in the classroom, plays which I have written and performed myself for over 25 years. Students are often meeting drama scripts for the first time at exam level and there is a need for these to be an integral part of the English curriculum. This website covers my lifetime work and experience in drama and shows the background to this new development in my creative work. A major part of my work has been writing and performing plays for school children acting all the characters myself in costume and teaching drama and creative writing based on these plays. Because the subjects of most of the previous plays have been based on National Curriculum topics being studied and at the request of the schools, my plays are ideally suited for such adaptation. Beyond being a mere drama script my plays have the advantage that they can be used as a tool for learning about the topics in the way which would have a greater appeal than the pupils merely reading a narrative version of these topics. Comment from a pupil at Crich Carr Primary School Matlock Derbyshire sent by Anne Punchard, Headteacher. 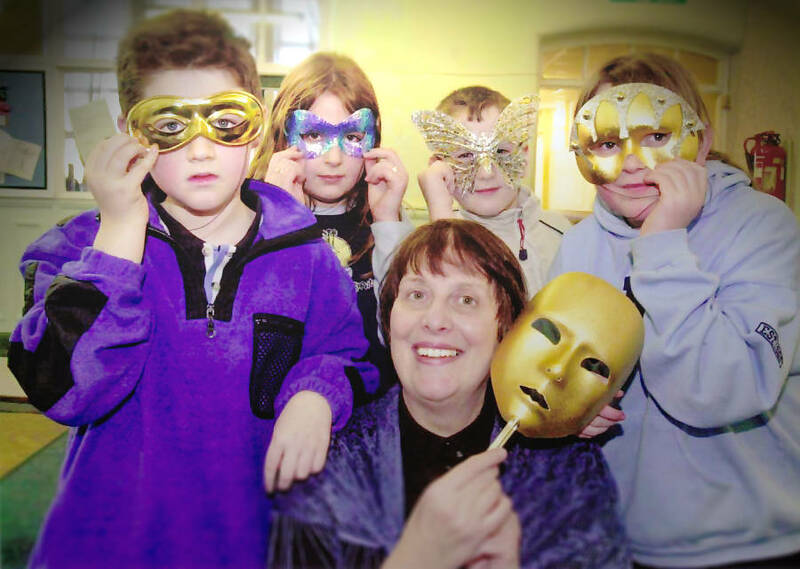 Action Arts is a drama-based literacy development organisation founded by Mary Carr.